3 Bedroom House For Sale in Faversham for Offers in excess of £220,000. 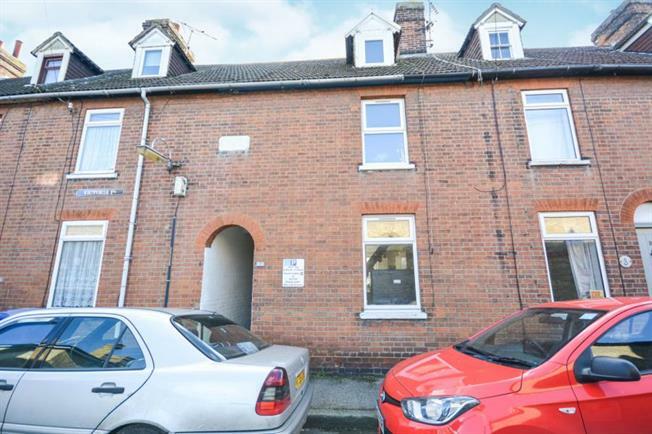 This Victorian property is located in central Faversham. The property is in need of some updating but does benefit from a modern combi boiler, gas central heating and modern double glazing. To the ground floor there is a large open plan living space incorporating the kitchen and dining area. To the first floor there is one large double bedroom, one single and the bathroom. To the second floor a large loft room, another ideal double bedroom. To the rear of the property is a brick built shed and partially walled and paved rear garden. This is a popular no-through road conveniently located for very easy access to the town centre, swimming pool, health centres, library and mainline railway station. Faversham is one of England's most historic and charming towns, nestling between the rural delights of the Kent Downs and the beauty of its coastal wetlands. This picturesque market town has nearly 500 listed buildings, dates from pre-Roman times and is mentioned in the Domesday Book. This is a bustling place with a fine range of independent shops, supermarkets and recreational pursuits. There is excellent schooling across all age ranges and abilities, including the highly rated Queen Elizabeth Grammar school. Faversham is about two minutes drive from the M2 and has a mainline station with regular commuter services to London (Victoria/Cannon Street and St Pancras HS1), Canterbury and the coast, making it easily accessible.